Thank you for your interest in the HILLIARD YOUTH CHORUS, sponsored by the Hilliard Arts Council and under the direction of retired Hilliard music teacher, Jayne Wenner! Our goal is to help kids develop good singing technique, expose them to new songs and musical styles, and empower them to find their voices through music! *6TH-GRADE SINGERS ONLY: We have a 2nd choir as an alternative for singers in grades 6-8, under the direction of Cori Brennen. We need a minimum of 10 singers to move forward this spring. Please indicate in the form below if you are available to rehearse from 3:45-5:00 PM as part of this group. Rehearsal/performance dates are the same for both choirs. There is no need to fill out a separate registration form. If we do not get enough singers, you will automatically be signed up to participate in the grade 3-6 chorus, unless you note otherwise in the comments below. We will notify you prior to the first rehearsal date. Orchestra and Band Program informational meeting for incoming 6th Graders and their Parents. Meetings are the same, regardless of the school at which they are held. 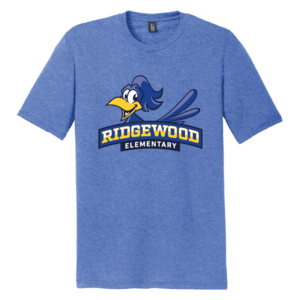 Shop for everyone on your gift list this holiday at smile.amazon.com/ch/31-1495740 and Amazon donates to Ridgewood School Pto.